The Senator is re-locating his business office today. He thinks it will take an hour. I am guessing a few…even though he is only moving a mile down the road. Like I have said before, the man has a lot of stuff. 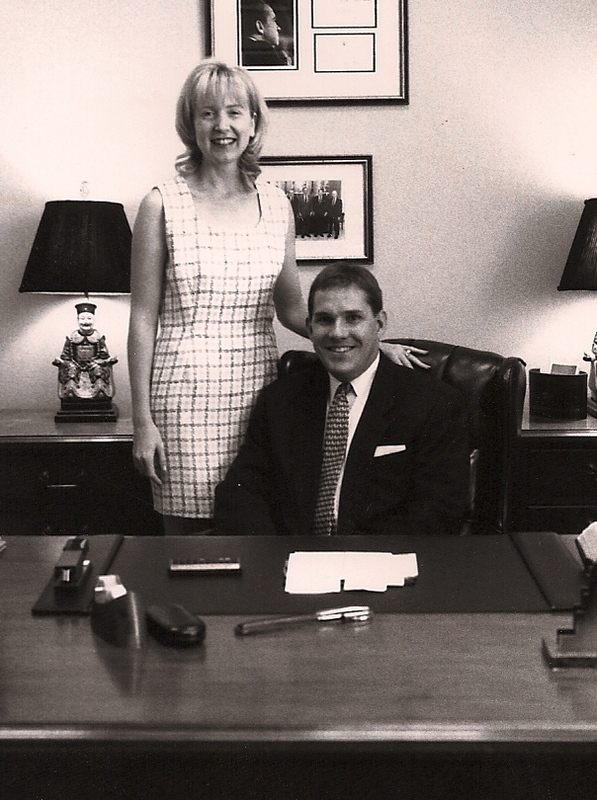 This photo was taken roughly fifteen years ago shortly after he moved into his business office. Note the lack of clutter. Goodbye Possum Creek Place. You were a good home. The Senator’s son has an Algebra final today. I am not smarter than my 9th grader in this area. Let’s just say all those formulas are Greek to me. The last time Algebra and I met was during the summer before my senior year in college. I needed a math credit to graduate and summer school seemed like the best time to tackle this phobia one on one. I still have a complete and total gut wrenching fear of math. Numbers and I do not mix. Anyone who knows me understands this. I am not wired this way. Good luck my son. May the force be with you today! The Senator’s daughter continues to make her list and checks it way more than twice……that girl has a list. A big list.